If you’ve been reading my blog for a bit, you will know that I love fat quarters! I love their prints and how cute they are – the colours and the different patterns. I love the cute animals and the comical ones – basically all the ones you buy when you have no idea what exactly you are going to make with them! I’ve been having a bit of a tidy up of my craft stash of late (trying to make space for my new serger on my tiny Ikea table!) and I realised that I really do need to do something about my fat quarter stash! 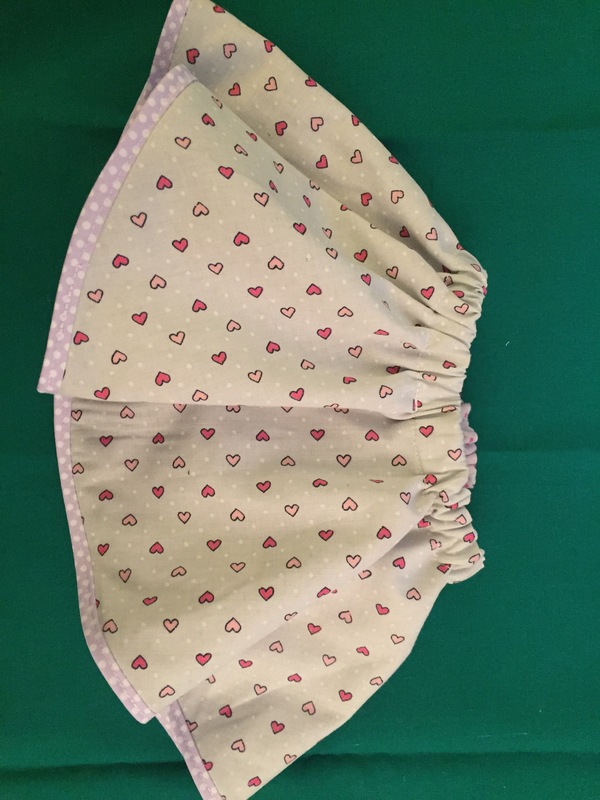 I saw a little Ra Ra skirt recently to purchase for soon-to-be-here niece and thought they are a great choice for new babies, but you had to be able to sew them yourself in some cute prints. 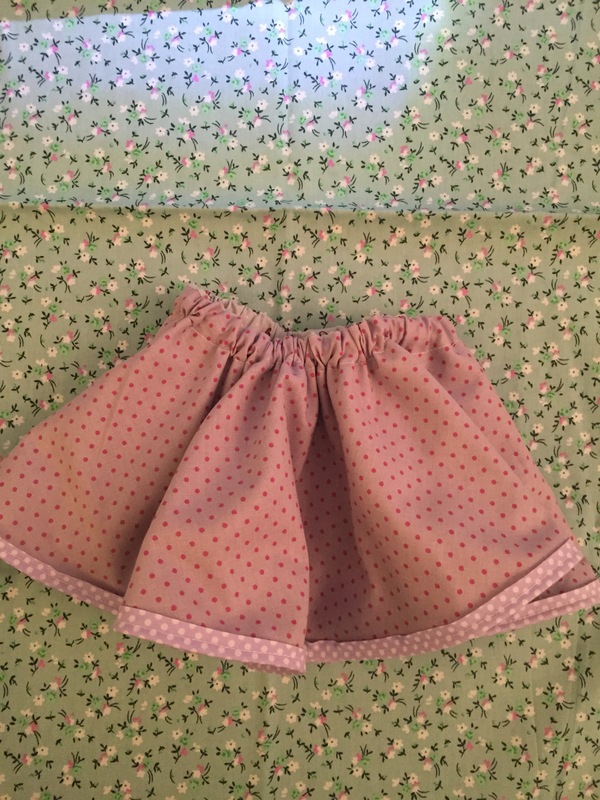 Luckily this amazing free pattern and tutorial for a reversible baby skirt crossed my path and answered my baby ra-ra-skirt and fat quarter stash dreams. I loved how simple it is and the different effects you can get by combining prints and decided I had to give it a go! While tidying out my stash, I picked out these two cute prints along with some contrast bias binding I had been gifted and had waited to find the right project for. This project seemed just the one! I purchased the fat quarters during Tschibo craft week and have been super positively surprised by the quality of the cotton. I love the contrasting prints! So perfect for a newborn baby girl gift! 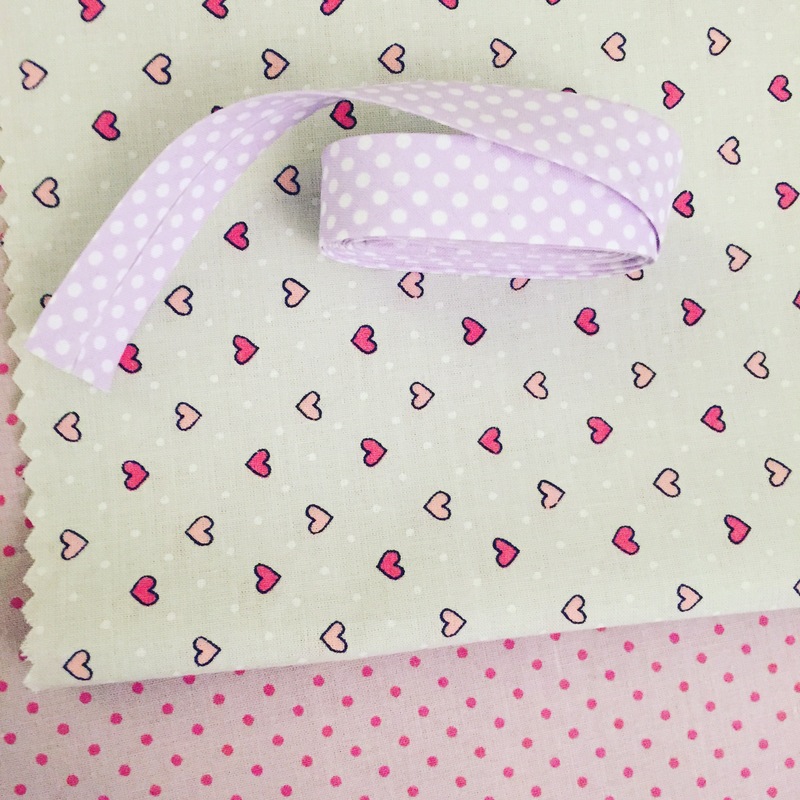 Hearts and polka dots, what’s not to love? This pattern is ridiculously simple – I didn’t even print the free pattern as it was a bit of a spontaneous make this evening, so I just improvised by drawing round a plate to get a good curve on the waist. 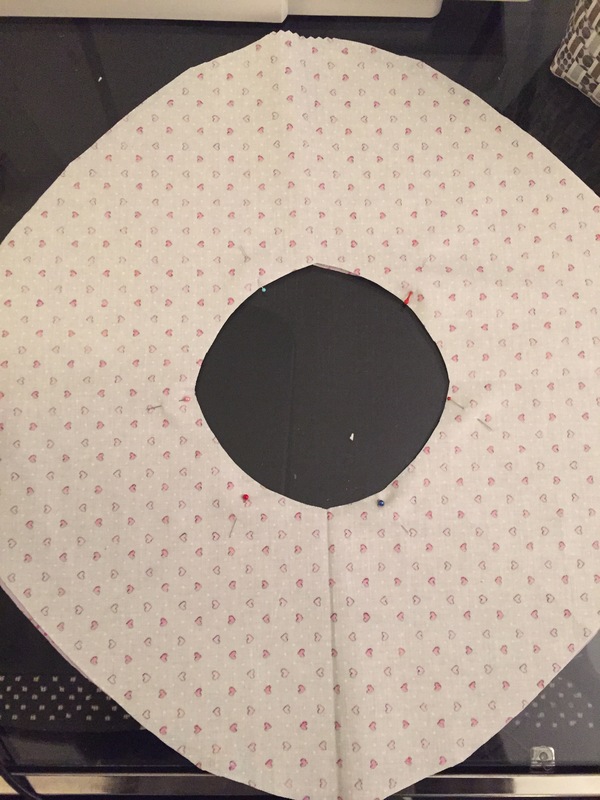 You pin the two donuts of fabric right sides together and stitch the inner circle and you are already on your way to skirt cuteness! After that you turn them the right way out and sew around the circle again to create a channel for the elastic. Once the elastic is in, all you have left to do is bind. The binding is a little fiddly and seems to go on forever (but aren’t all circle skirt hems that way?!) However, it was good practice for me on using bias tape, so that was good. I was proud that I just worked out by myself how to attach it. Overall I am delighted with my finished make. There is nothing on it I would change for once! I can’t believe it only took me an hour from start to finish – such a great project for when you have an itch to stitch but you don’t want to start anything major. Now I am ready to make a whole package of these to gift to friends and relatives. I can picture a matching set of three in a little gift box tied with a cute ribbon. What do you think? What a great way to use a fat quarter! Oh also, I forgot to mention the best bit, the skirt is reversible! Two skirts for the price of one! Unfortunately I don’t have a baby to help me model this skirt in all its cuteness, so I called in a friend to help …. 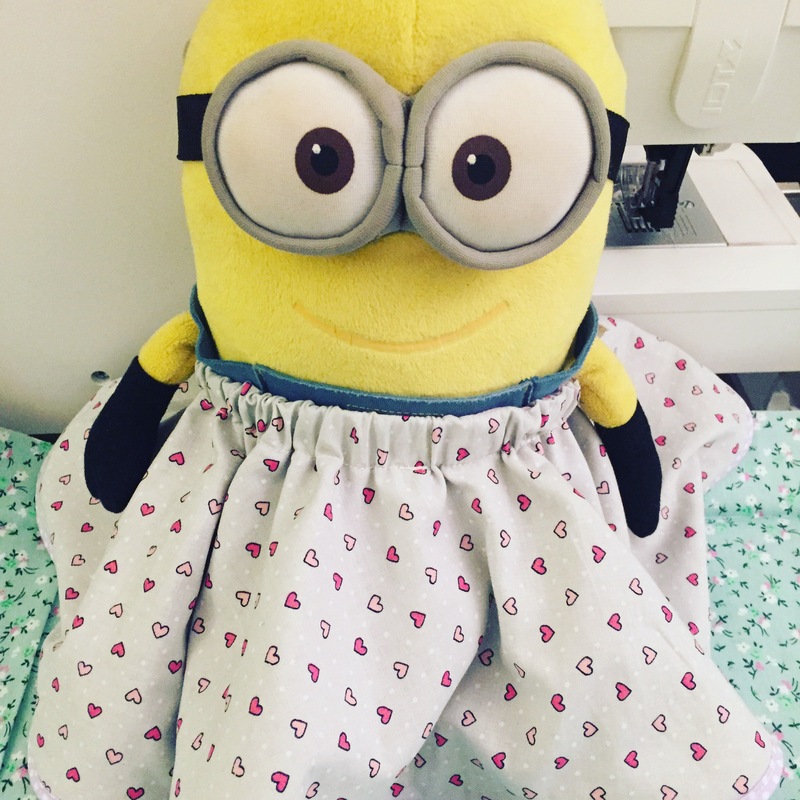 meet Dave, our friendly household Minion! Dave and I wish you a great rest of the week filled with stitching and crafting!